I was told from the onset that DRAGON QUEST XI: Echoes of an Elusive Age is a huge game. In a single player game that is a purposeful move away from the MMORPG DRAGON QUEST X (which has yet to arrive on North American shores), you play as a hero who must figure out his fate as he fights alongside a case of characters. This classic ‘hero’s tale’ plot by series creator Yuji Horii is buttressed by Akira Toriyama creating the character art and Kochi Sugiyama composing the game’s music. It is worth noting that despite the DRAGON QUEST series being a huge (seriously…huge) hit in Japan, it has never quite resonated here in North America like, say the Halo or Call of Duty franchises. I was given an option to pick between two demos at E3 2018 to play for DRAGON QUEST XI: Echoes of an Elusive Age (with the caveat that I would not be able to explore everything in either demo), and I immediately dived into the demo set at the city of Gallopolis. I found myself in a absolutely gorgeous and stylized desert area playing as the appropriately named character ‘Eleven’. Naturally, as this is a RPG, I wanted to go find something to fight. In what is clearly a continuation of DRAGON QUEST IX and DRAGON QUEST X‘s enemy encounter system, enemies spawn on the over world map for you to walk up to and fight. When you start an encounter, it immediately jumps to a different screen for the fighting. The character art is done by famed manga-ka Akira Toriyama in DRAGON QUEST XI: Echoes of an Elusive Age, and they are simply gorgeous to see. (Images owned by SQUARE ENIX). 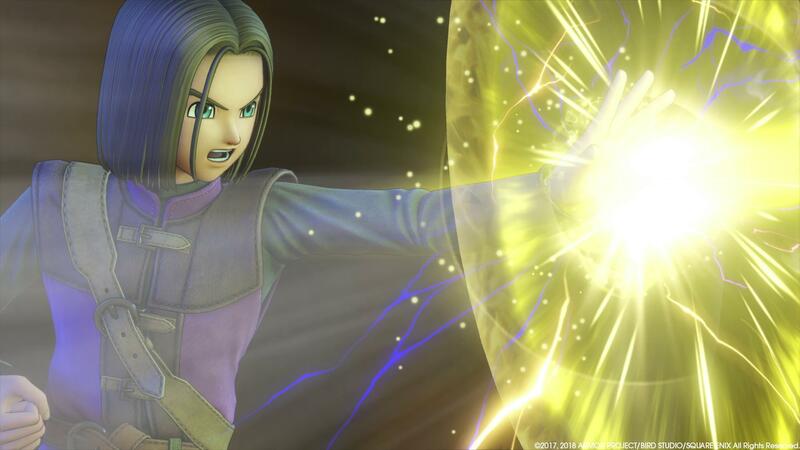 Combat itself is classic DRAGON QUEST fare with JRPG tropes. I had a team of four controllable characters (Eleven, Erik, Veronica, Serena) that fulfilled the classic positions of melee and magic. There was also a fifth character, Sylvando, that I could not control but who assisted the party as I fought. Combat was completely turn based without any ATB (Active Time Battle) bars or CTB (Conditional Turn-based Battle) bars present. You just would select your attacks/spells/items at the beginning of each round, and then the round would play itself out. 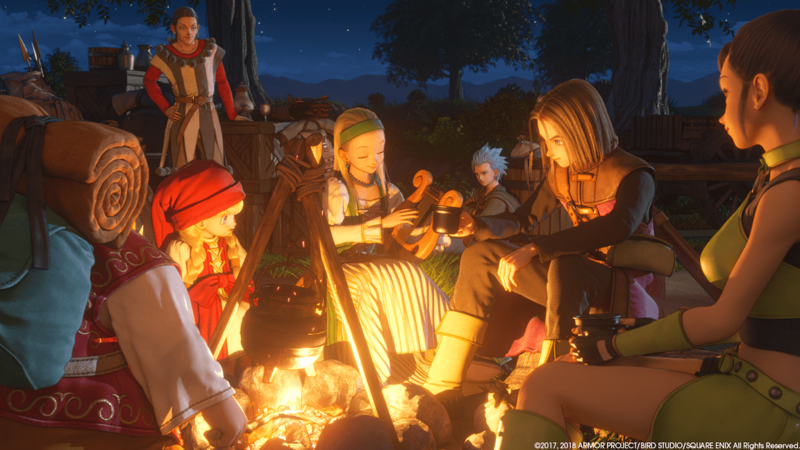 This battle system in DRAGON QUEST XI: Echoes of an Elusive Age is both very much JRPG ‘comfort food’ to those who grew up playing Dragon Warrior I-III on the NES, but unfortunately does not do much to advance the DRAGON QUEST franchise as a result. Even though this was my first time playing DRAGON QUEST XI: Echoes of an Elusive Age (obviously), I was able to quickly adapt to the combat system and fight my way though multiple enemies with little problem as I balanced debuffing the enemies, buffing my party, and slinging spells and melee attacks around to conquer my foes (particularly the Spitzfire enemies, which surprisingly had more HP that I would have expected). Ultimately, I was able to take on the “Slayer of the Sands” boss at the end of the area, though I was not able to kill him before my DRAGON QUEST XI: Echoes of an Elusive Age demo time ran out. The combat in DRAGON QUEST XI: Echoes of an Elusive Age is standard JRPG fare, with classic turn-based combat. (Images owned by Square Enix). As I played through my all-too-brief demo, I noticed a few more things about DRAGON QUEST XI: Echoes of an Elusive Age. The cutscenes are well done, and the art style of Toriyama-san really pops and gives this game a unique feeling as I played and experienced the characters interacting with each other. Additionally, I was given a horse that I could use to navigate the landscape with. To my surprise, I was able to mow down enemies that were in my path without having to go into actual combat, even though it appeared that I did not receive any exp for killing them. 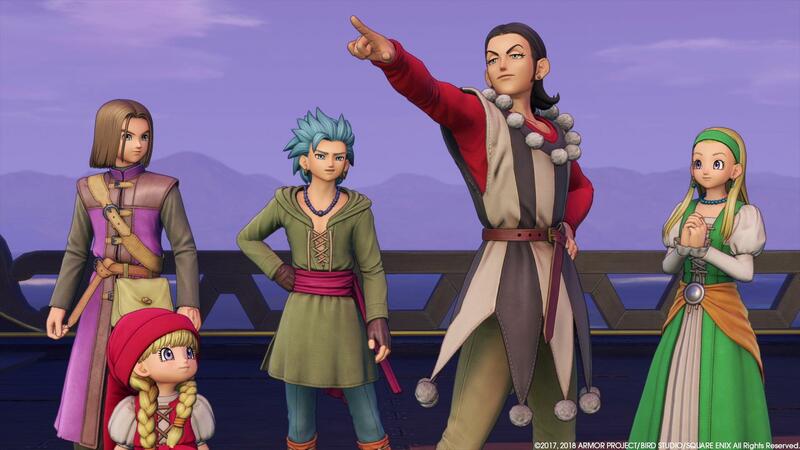 Finally, it is clear that DRAGON QUEST XI: Echoes of an Elusive Age is meant to be an easily accessible entry point for the DRAGON QUEST series on a major home platform in North America since 2005’s DRAGON QUEST VIII on the PlayStation 2. When DRAGON QUEST XI: Echoes of an Elusive Age was released last year in Japan, it garnered awards, including a 40/40 from Famitsū (which is something that has only happened a few other times in gaming history). The accolades this game has received from other publications has me excited for this game in a way that few other games can. Midway through my demo, there was a cutscene that took place around the campfire. Without spoiling the content, I can say that I really did get a feel that these are not just mere ‘stock’ characters you’re fighting alongside, but individuals with their own personalities. (Image owned by SQUARE ENIX). 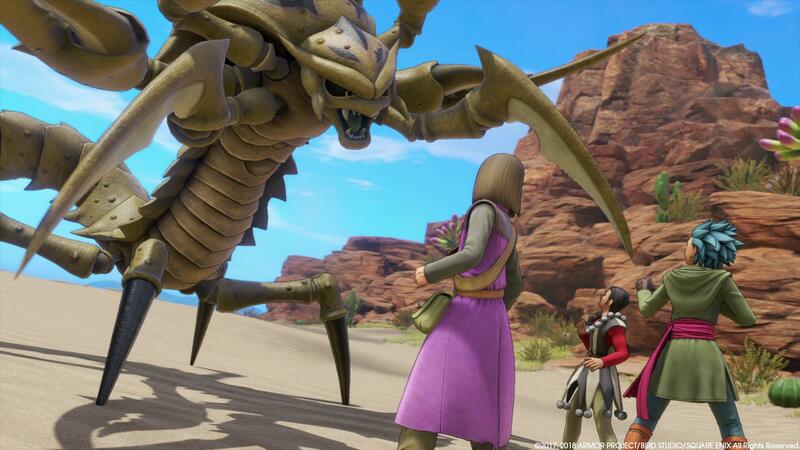 Overall, I had a blast playing this game, and I personally hope that DRAGON QUEST XI: Echoes of an Elusive Age succeeds in making the DRAGON QUEST franchise a huge name in North America when it releases September 4, 2018. You can preorder DRAGON QUEST XI: Echoes of an Elusive Age (Edition of Light) now for PlayStation 4 and Steam. You can also preorder the SQUARE ENIX Store-exlusive DRAGON QUEST XI: Echoes of an Elusive Age (Edition of Lost Time) for PlayStation 4. 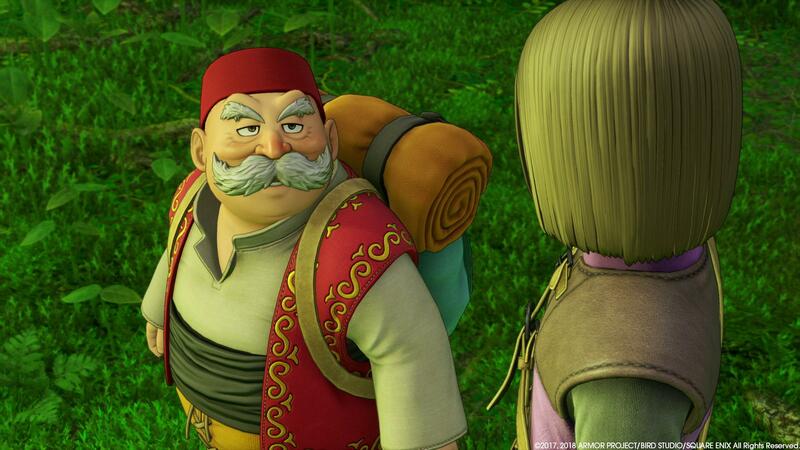 Are you planning on picking up DRAGON QUEST XI: Echoes of an Elusive Age when it comes out? 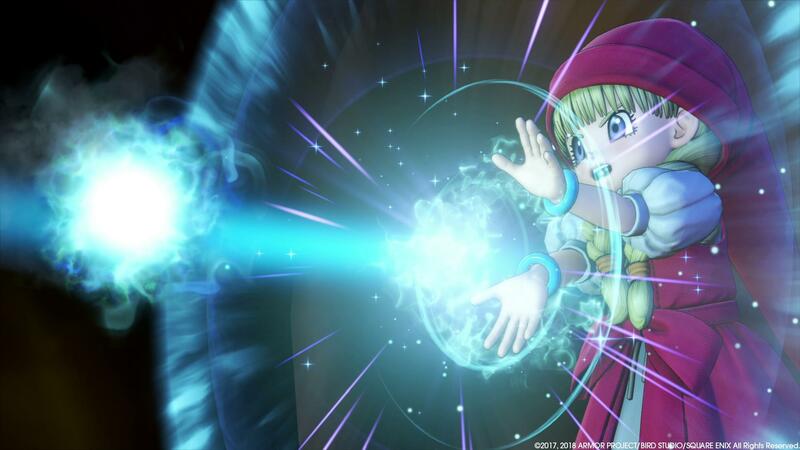 What is your favorite DRAGON QUEST game?